Arna Bontemps Hemenway is the author of Elegy on Kinderklavier (Sarabande). His fiction has appeared in A Public Space, Ecotone, The Missouri Review, The Seattle Review, and Meridian Literary Review, among others, and has been named a Notable/Distinguished Story of the Year in both the Best American Short Stories and Best American Nonrequired Reading anthologies. 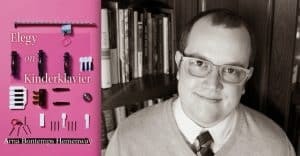 He has been the recipient of scholarships or fellowships in fiction writing from the Truman Capote Literary Trust, the Iowa Writer’s Workshop, the Taos Writers’ Conference, the Sewanee Writers’ Conference, and the Bread Loaf Writers’ Conference. He received a BA from the University of Iowa, and an MFA from the Iowa Writer’s Workshop. He is an Assistant Professor of English in Creative Writing at Baylor University. 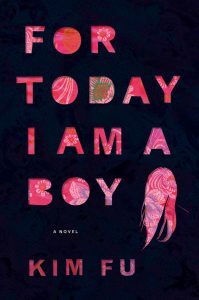 The two PEN/Hemingway Award finalists are Kim Fu for For Today I Am a Boy (Houghton Mifflin Harcourt) and Atticus Lish for Preparation for the Next Life (Tyrant Books). Kim Fu is the author of the novel For Today I Am a Boy, a New York Times Book Review Editors’ Choice and Barnes & Noble Discover Great New Writers selection, short-listed for the Lambda Literary Awards and the Canadian Authors Association Emerging Writer Award, and long-listed for the Flaherty-Dunnan First Novel Prize and Canada Reads 2015. She lives in Seattle. 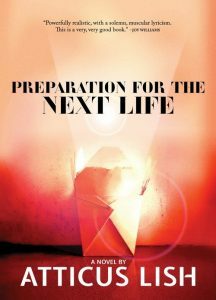 Atticus Lish is the author of Preparation for the Next Life, finalist for the 2015 PEN/Faulkner Award for Fiction. He also received a 2015 Plimpton Prize for Fiction from The Paris Review. He is the illustrator and writer of Life Is with People also from Tyrant Books. He lives in New York City. Two writers will receive honorable mentions: Mark Chiusano for Marine Park (Penguin) and Diane Cook for Man V. Nature (HarperCollins). 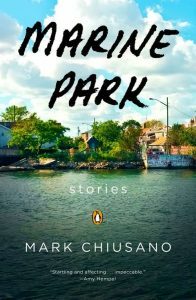 Mark Chiusano is the author of Marine Park, a collection of stories. His fiction and essays have appeared in Guernica, Narrative Magazine, Five Chapters, Salon, Harvard Review, and online at Tin House, the New York Observer, NPR, The Atlantic, and The Paris Review, among other places. He was born and raised in Brooklyn, and now works at Vintage Books. 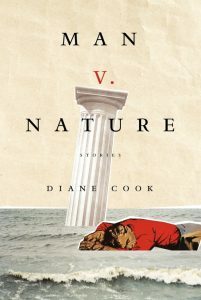 Diane Cook is the author of the story collection Man V. Nature. Her fiction can be found in Harper’s, Granta, One Story, Tin House, Zoetrope, Guernica and elsewhere. Her nonfiction has appeared in The New York Times Magazine and on This American Life, where she worked as a radio producer for six years. In 2012, she won the Calvino Prize for fabulist fiction. She lives in Oakland, CA.